the forest with three of her children. 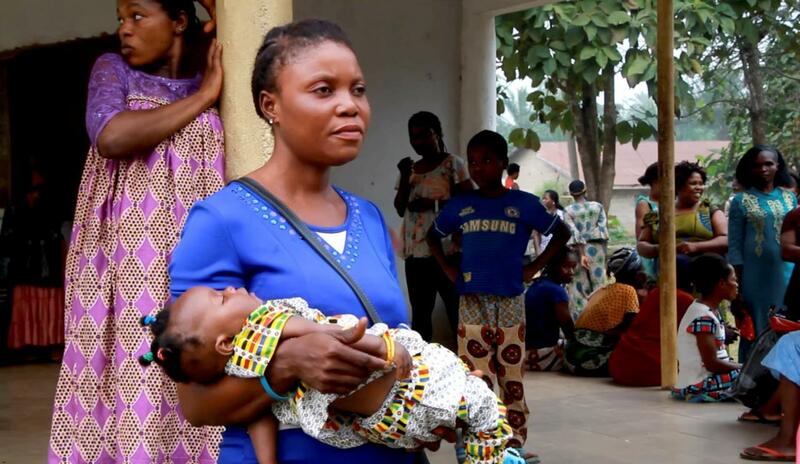 “I found a canoe and I used it to cross over with my kids, not knowing where my husband and my (other) two kids are,” she told Reuters across the border in Nigeria, where thousands of English-speaking Cameroonians have fled in past weeks. What began last year as peaceful protests by Anglophone activists against perceived marginalisation by Cameroon’s Francophone-dominated elite has become the gravest challenge yet to President Paul Biya, who is expected to seek to renew his 35-years in power in an election next year. Government repression - including ordering thousands of villagers in the Anglophone southwest to leave their homes - has driven support for a once-fringe secessionist movement, stoking a lethal cycle of violence. The secessionists declared an independent state called Ambazonia on Oct. 1. Since then, 7,500 people have fled to Nigeria, including 2,300 who fled in a single day on Dec. 4 fearing government reprisals after raids by separatists militants killed at least six soldiers and police officers. The United Nations refugee agency UNHCR is preparing for up to 40,000 refugees. Quinta and her children walked for three days through the dense forests to reach a border crossing at the Agbokim Waterfalls. They remain without news of the rest of the family. Cameroonian authorities say the English-speaking separatists pose a security threat that justifies their crackdown. The new arrivals in Nigeria live mainly with host families who have supported them with food, clothing and shelter. The integration, a UNHCR official said, was made easier by the pidgin English spoken on either side of the border. Food and medicine are in limited supply. Four people have died of sicknesses since coming to Nigeria and the refugees sometimes sleep as many as 50 to a five-by-seven meter room. Their anger has grown towards a government they feel no longer represents them, which could provide the separatists with easy recruits. “We were walking for peaceful demonstrations ... but it’s because of the killing of our innocent people that is why our own people have started reacting,” said Tiku Michael, a businessman, farmer, father of six and now a refugee.